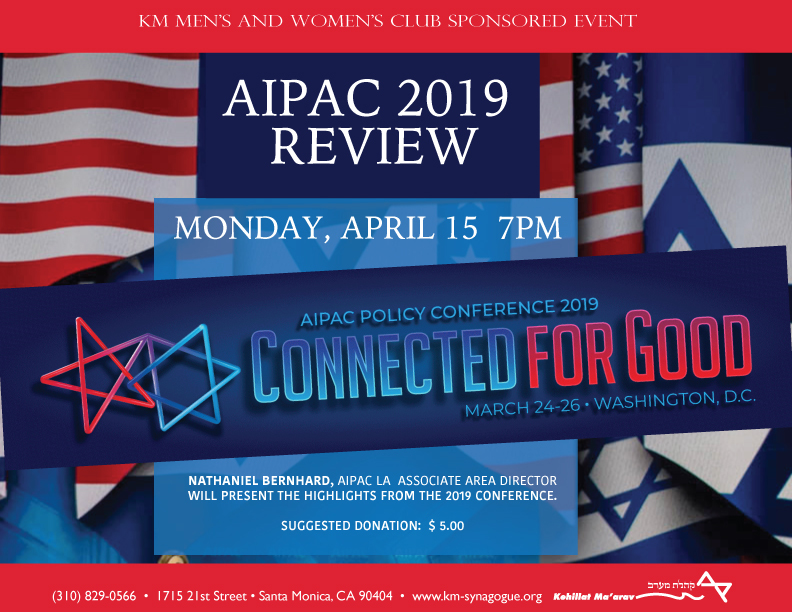 Find out what happened at the 2019 AIPAC conference with a presentation by Nathaniel Berhard, AIPAC Associate Area Director! 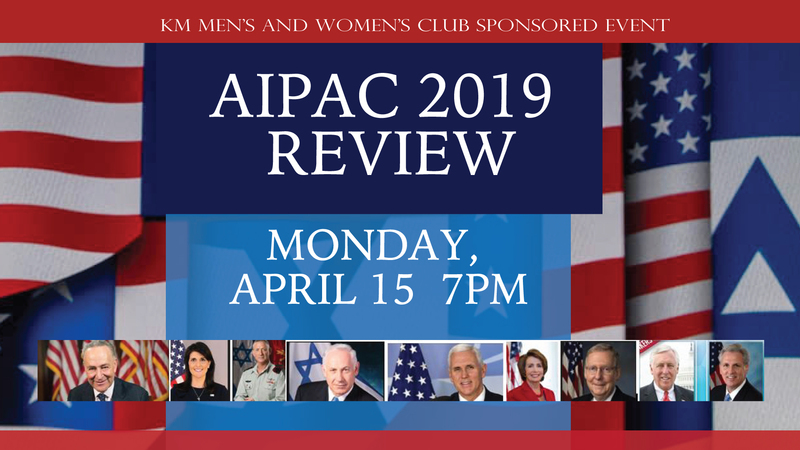 Featured among the many speakers at the 2019 conference were Prime Minister Benjamin Netanyahu, Vice President Mike Pence, Nancy Pelosi, Mitch McConnell, Steny Hoyer, Kevein McCarthy, Chuck Schumer, Nitkki Haley and former IDF Chief Benny Gantz of Israel. The AIPAC Policy Conference is the largest gathering of America’s pro-Israel community. The conference is a celebration of the U.S.-Israel partnership and the premier opportunity for every attendee to lobby their Congressional office to advance the U.S. Israel relationship.